We are not alone. And we are not the end of the line. Aliens from other star systems will find us one day. And our own machines will one day overtake us. Or both at once. Jon Christie knew this. Androids and aliens didn't faze a computer jock with a CIA past. But even he was unprepared for the sudden, combined impact of these threats when he traveled to Japan in the summer of 2013. First published in a limited private edition in 1996, this novel became a cult classic and has been hard to find ever since. Now here it is again. "Consciousness studies finds a lucid, entertaining expositor in Andrew Ross." 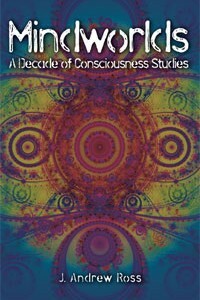 "Andrew Ross mixes, in a charming and highly intelligent way, speculations about consciousness with a very informative account of recent debates in consciousness studies." "Andy Ross thinks, and thinks for himself. He can teach things to mutual-citation circles in the philosophy and science of consciousness." Through new technology and global industry, we humans are creating a global organization so integrated that we become parts of a single living organism: Globorg. 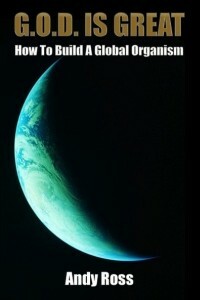 Globorg is the culmination of biological evolution on planet Earth. It will embrace humans as living parts. It will include human history within its own history. We are building its brain with the infrastructure of the web and cloud services. We shall identify with Globorg. But first we need to win the war between science and religion. 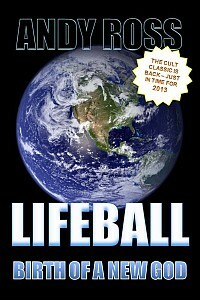 This book is a road map from here and now to Globorg. 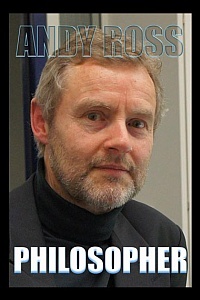 Andy Ross became a well trained philosopher but he kept asking why. It took him years to find out. As a baby boomer his soul was more seared than he expected by the wars of the twentieth century and their bitter aftermath in Britain. He found a way forward in a move to Germany and a new life of service to science and technology. Gradually, over decades of patient work and times of redemptive clarity, Andy worked out a set of answers to his questions that have universal scope and significance. He has forged a radical new philosophy. Its impact on his personal life has resulted in an often dramatic and finally moving human story. A new cultural sphere based on instant exchange of information has led to new kinds of communication, not merely for practical purposes but also for entertainment, social contact, the exchange of beliefs and opinions, and even the expression of emotions. Online life has become an integral part of people�s existence and therefore merits ethnological research. 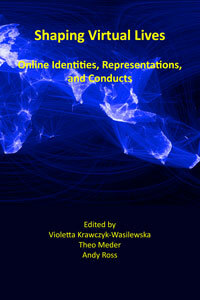 This volume presents selected papers from a panel session on virtual lives held at the 10th Congress of the International Society for Ethnology and Folklore (SIEF) titled People Make Places: Ways of Feeling the World, 17‑21 April 2011, Lisbon, Portugal. World history is the greatest story ever told. It starts with the gods and ends here and now, with us. We all want to know what happens next. Looking back we see a rich tapestry of good and bad actors: Jews, Christians, Muslims, Communists, Nazis, and the heroes of Apollo. It is truly a tale of triumphs and tragedies. Spiral dynamics is a color scheme for understanding history by tracing the evolution of complexity from humble origins. How we rose from surviving as naked apes to living as smart nodes in a globalized ecosystem is a story well worth telling. 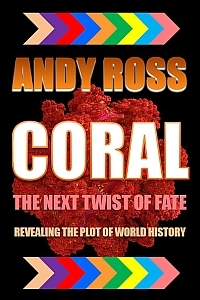 The tale has an amazing twist in the next chapter: the coral step in the spiral. 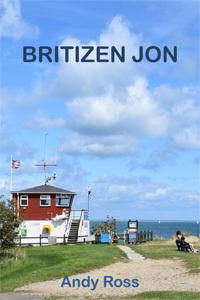 This is the tragic story of Jon Ball, who became a Conservative prime minister in the UK only to blow it spectacularly, with the result that Britain became a socialist republic within the European Union. The story is told in three parts, narrated respectively by Jon himself, by his father in Germany and by his American stepmother.